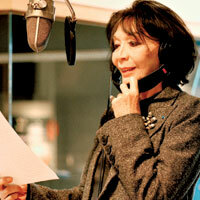 Juliette Gréco was born in Montpellier, in the South of France, on 7 February 1927. Juliette\'s father, who was born in Corsica, worked as a policeman on the Côte d\'Azur, but she rarely saw him in her childhood as she and her elder sister Charlotte were brought up by their maternal grandparents who lived in Bordeaux. Juliette, who was educated by nuns in an extremely strict convent school, grew up to be a rather shy child given to spending long periods of time on her own. In 1933 Juliette\'s mother joined her daughters in Bordeaux and shortly afterwards all three of them would head off for Paris. Juliette\'s life would change dramatically in the French capital. After the rather austere atmosphere of the convent, Juliette discovered a world of bright lights, fashion and culture. She would take up dance classes, throwing herself into her new hobby with a passion, and soon went on to join the Paris Opera where she began training her voice. In 1939, Juliette\'s idyllic life in Paris was shattered by the outbreak of the Second World War. The Grécos were forced to return to the South West of France where they lived in rented accommodation in the Dordogne. Juliette\'s mother would soon become an active member of the Resistance in Dordogne, but her Resistance work was brought to an abrupt halt when Gestapo officers arrested her in 1943. Juliette and Charlotte immediately fled the family home and returned to Paris, but they would soon be arrested and sent to prison by the Gestapo. Shortly after their arrest Charlotte and her mother were sent to the “death camp” of Ravensbruck, an auxillary women’s camp to Auschwitz where if you got too sick to work , you were sent off to be gassed and then cremated - Juliette, being only 16, was allowed to stay in France. Released from prison, Juliette found herself alone and penniless on the streets of Paris. Luckily Juliette\'s French teacher (the actress Hélène Duc) would come to the young girl\'s rescue, offering her a temporary home. Juliette would thus spend the rest of the war years living in Paris where she soon discovered the exciting world of theatre. Encouraged by her teacher Hélène Duc, Juliette enrolled in drama classes and soon went on to land several walk-on parts at the Comédie française. Meanwhile, in the late war years Juliette began hanging out in cafés on the Left Bank, exploring the rich intellectual and Bohemian life of the Latin Quarter and Saint-Germain-des-Prés. The idealistic teenager would also begin to take an active interest in politics, attending Young Communist meetings and conducting earnest political discussions with her friends in the Latin Quarter\'s smoke-filled cafés. Juliette\'s mother and sister were released from prison camp at the end of the war and in 1945 the family returned to live in the South West of France. But shortly after their arrival in the Dordogne the girls\' mother decided to enlist in the navy, so Juliette and Charlotte headed back to Paris. Juliette would soon throw herself back into Bohemian lifestyle of the Latin Quarter, hanging out with the poets, musicians, writers and painters who held regular meetings in the smoke-filled cafés around the Saint-Germain church. Living in a small room in a local hotel and earning a living from a series of odd jobs, Juliette would nevertheless begin to move in hallowed circles, becoming acquainted with the likes of Sartre and Camus as well as the legendary American writers and jazz musicians who formed part of Saint Germain\'s rich cultural life. With her striking Bohemian looks and her wild, rebellious nature, Juliette soon became a major figure on the Saint Germain scene herself. And the network of contacts she made in the Latin Quarter cafés would help her land a series of minor roles in French theatre as well as getting her work on a national radio programme devoted to poetry. After five long years of war and deprivation Paris was in full effervescence, and Juliette soon joined the groups of young night-owls who would stay out till dawn, smoking and drinking in Saint Germain\'s atmospheric jazz clubs and cabarets. In 1947 a new club called Le Tabou opened its doors on the rue Dauphine - this smoke-filled dive was to become a veritable legend on the Saint Germain scene, providing a meeting-point for young bohemians, as well as a host of famous musicians and artists. Boris Vian was a regular at Le Tabou, as were Jean Cocteau and the legendary jazz trumpet-player Miles Davis. Needless to say, Juliette Gréco also made it her local haunt. Her face would soon begin appearing on countless magazine covers, accompanying articles documenting the new \'Bohemian\' craze sweeping through post-war Paris. Encouraged by a group of young Bohemians and her close friend Anne-Marie Cazalis, Juliette Gréco soon decided to take advantage of her new-found fame and launch a singing career. In 1949 Juliette made her public début at \'Le Bœuf sur le Toit\', another legendary Bohemian venue hosting music and poetry events. Juliette had no trouble finding material to perform at her first concert - a host of famous French writers and poets immediately offered their services. Raymond Queneau penned her the extraordinary \"Si tu t\'imagines\", Jules Lafforgue wrote Juliette \"L\'Eternel féminin\" while Jacques Prévert gave the singer his classic \"Les feuilles mortes\". (Juliette would enlist the aid of Joseph Kosma to set these texts to music). Juliette\'s style which fused intellectual intensity with undercurrents of playful sensuality, proved an enormous hit with Saint Germain\'s new Bohemians. But it proved decidedly less successful with the general public, who found the young singer\'s repertoire rather difficult compared with the popular melodrama of stars such as Edith Piaf. But Juliette Gréco would gradually gain a higher profile after starring in Cocteau\'s film \"Orphée\" in 1949. Two years later Juliette would go into the studio to record her début single \"Je suis comme je suis\" (\'I Am What I Am\" - the title says it all !) This song, written by Jacques Prévert and set to music by Joseph Kosma, would go on to become an absolute classic of the Gréco repertoire. Following the release of her first single, Juliette would perform a series of concerts in Brazil and then head off to America where, in 1952, she proved a huge success in the show \"April in Paris\". On her return from the States, Juliette would embark upon an extensive tour of France, and this time round her new -style chanson and mysterious dark looks would prove a major hit with the public. The singer went on to triumph at the legendary Olympia music-hall in Paris in 1954. Later that same year Gréco was honoured by the SACEM (the French Association of Songwriters and Composers) who awarded the singer their prestigious \"Grand prix\" for her song \"Je hais les dimanches\" (written by Florence Véran and Charles Aznavour). 1954 would also prove to be a memorable year in Juliette\'s personal life - for it was in 1954, while working on Jean-Pierre Melville\'s film \"Quand tu liras cette lettre\", that the singer met her future husband, the French actor Philippe Lemaire. (The couple\'s marriage would not last long, however. Gréco and Lemaire would get divorced in 1956, shortly after the birth of their daughter, Laurence-Marie). Meanwhile, Juliette Gréco\'s career began to branch out in several directions at once. While her singing career continued to go from strength to strength on the international music scene, the multi-talented performer was also becoming a much sought-after actress in the film and theatre world. Indeed, after a series of highly successful shows in New York, Juliette was inundated by offers from Hollywood - and the young French star would soon go on to work with the likes of Henri King, John Huston and Orson Welles ! Shortly after her arrival in Hollywood, Juliette would begin going out with the powerful American film producer Darryl Zanuck. (But this relationship proved to be as short-lived as Juliette\'s previous marriage to Lemaire. Zanuck\'s driving ambition would soon begin to clash with Gréco\'s rebellious spirit which thrived on ideas of freedom). After her relationship with Zanuck came to an end, Juliette Gréco returned to France where she soon met up with Serge Gainsbourg, a young singer/songwriter who had recently embarked upon a one-man mission to revolutionise French chanson . Impressed by Gainsbourg\'s radical new style, Juliette Gréco invited the young up-and-coming star to write for her and between 1959 and 1963 Gainsbourg would pen Gréco several major hits including the legendary \"La Javanaise\" (which Gréco recorded in \'63). After devoting most of the 1950\'s to her film career, Juliette would turn her attention to her singing career over the next decade. Gréco would make her mark on the French music scene in the 60\'s with major hits such as Guy Béart\'s \"Il n\'y a plus d\'après\" (which the singer recorded in 1960) and Léo Ferré\'s \"Jolie Môme\" (in 1961). Later that same year Gréco would triumph at the Bobino in Paris, thousands of fans turning out to see her in concert. Gréco\'s run at the Olympia in 1962 would prove equally successful. By the mid-60\'s Juliette Gréco had become one of the best-known faces in French showbiz, thanks to her role in the famous French television series \"Belphégor\" (which she began filming in 1965). Yet, in spite of her brilliant career and increasing international fame, Juliette Gréco underwent a serious depression around this time and the singer would attempt to commit suicide later that year. 1965 would end on a happier note, however. In September of that year, Juliette, by now fully recovered from her recent depression, married fellow French actor Michel Piccoli. By the following year Juliette\'s singing career was back in full swing. Indeed, the singer would go on to give a triumphant performance at the TNP (the Théâtre National de Paris) with her all-time idol Georges Brassens - Gréco had already recorded Brassens\'s legendary \"Chanson pour l\'auvergnat\" in the 1950\'s. 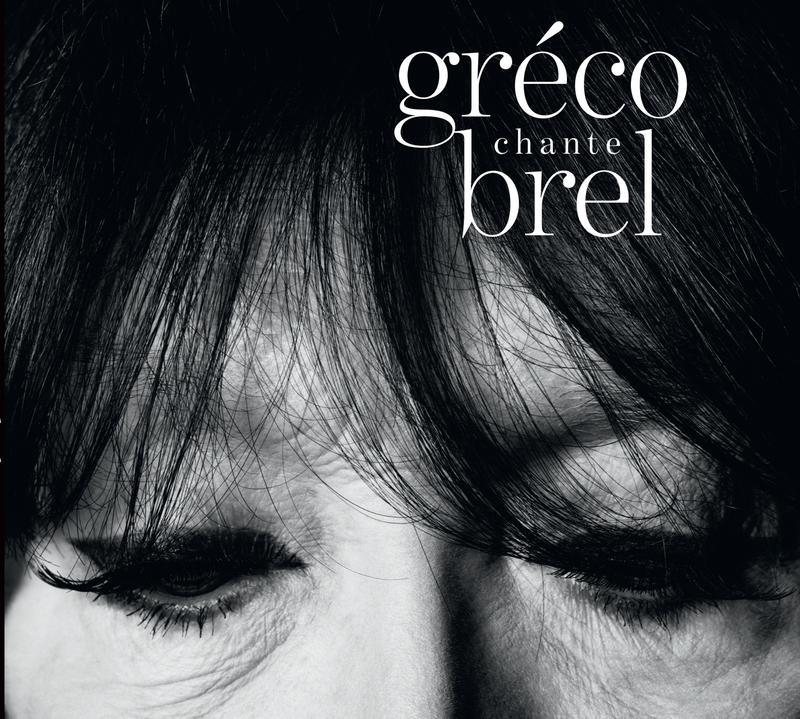 In 1967 Gréco would go on to cover another French chanson classic, recording her own version of Jacques Brel\'s \"La chanson des vieux amants\". In 1967 Gréco would perform a series of highly successful concerts in Berlin, singing to audiences of 60,000. The French star would then go on to repeat this success worldwide, thousands of fans flocking to see Gréco on her international tours. Gréco\'s stylish stage shows in which the singer, wearing an elegant black dress, appeared backlit against a sumptuous red velvet curtain drew gasps of admiration from the audience while the singer\'s superbly expressive face and theatrical gestures held them completely enthralled. When Gréco returned from her busy round of international tours, she would score another triumph in Paris in 1968, introducing the idea of 6.30pm concerts at the Théâtre de la Ville. It was during her early evening performances at the Théâtre de la Ville that Gréco premièred \"Déshabillez-moi\", one of the most famous songs of her entire career. (\"Déshabillez-moi\" - \"Undress Me\" - would throw off Gréco\'s rather \'intellectual\' image, bringing her sensual side to the fore). In the early 70\'s Gréco would leave the Philips label to sign a new recording deal with Barclay. The singer would then undergo a period of general instability, swapping between several labels (before finally signing a new deal with Polygram in the 90\'s). This instability reflected a certain slowing-down of Gréco\'s career in the early 70\'s. The singer would soon make a major comeback, however, giving a triumphant performance in Paris at the Théâtre de la Ville in 1975. The following year Gréco would return to the studio to record a new album. It was around this time that the singer would embark upon a highly successful collaboration with Gérard Jouannest. After working for many long years with the legendary Belgian star Jacques Brel, Jouannest would go on to become Gréco\'s pianist as well as her principle musical arranger. Meanwhile, Gréco continued in the style that had made her famous, singing \'literary\' songs written by famous poets such as Pierre Seghers (who wrote Gréco\'s 1975 hit \"Les voyous\") and Henri Gougaud (who penned \"Le Merle blanc\" later that year). Gréco would also remain loyal to her favourite songwriters, recording work by Serge Gainsbourg (\"Le 6ème sens\" in 1970) and Jacques Brel (\"J\'arrive\" in 1970). In spite of her international star status, Juliette Gréco would remain true to the political ideals of her early days. Indeed, the singer would seize every opportunity to speak out against oppression and use her fame to defend human rights\' causes. One of the most famous instances of Gréco\'s political outspokenness was when the French star performed a concert in Chili while the country was still under the military dictatorship of General Pinochet. Taking to the stage in Santiago to confront an audience made up of soldiers and top-ranking generals, Gréco would launch into a repertoire of openly anti-military songs. The performance proved to be a complete fiasco and Gréco was practically booed off stage - but the singer was immensely proud of her personal act of resistance. Juliette Gréco would return to the media spotlight in 1982 with the publication of her autobiography, \"Jujube\". On October of the following year the singer would make an impressive comeback at the Espace Cardin in Paris, her concert drawing a huge crowd of devoted fans. The concert would be swiftly followed by a brand new album, entitled simply \"Gréco 83\". The album \"Gréco 83\" would feature a new selection of \'literary\' songs, including lyrics written by the French author Georges Coulonges, the poet Pierre Seghers, and legendary songwriters such as Jean Ferrat, Claude Lemesle and Boris Vian. (Most of the musical arrangements were the work of Gréco\'s loyal pianist Gérard Jouannest). Following the release of her new album Juliette Gréco set off on another round of international tours, playing dates in dozens of different countries. The singer would not neglect her French fans either. In 1988 Gréco performed in Paris at the Café de la Danse, as part of a music festival celebrating Mediterranean culture. The following year Gréco would marry again, wedding Gérard Jouannest, her composer, pianist and musical arranger of many years\' standing. In the 1990\'s Juliette Gréco made another triumphant comeback, performing her first major French concert of seven years at the Olympia (8 - 20 January 1991). In April 1991 the Printemps de Bourges paid tribute to Gréco, inviting the singer to perform as the festival\'s special guest star. When Gréco appeared at the Printemps de Bourges, however, she would perform just four songs - suffering from a severe malaise and on the verge of fainting Gréco would be obliged to leave the stage before the end of her set. Disappointed fans were assured that their tickets would be valid for next year\'s festival and they flocked back to see Gréco perform at Bourges on 27 April 1992. By the following year Gréco was back at work in the studio again, putting the finishing touches to a new album. Released in 1993, this album featured contributions from a host of top international names including the famous French songwriter Etienne Roda-Gil, singer Julien Clerc and Brazilian stars Caetano Veloso and Joao Bosco. While remaining loyal to the tradition of French chanson, Gréco was also open to modern influences and she would give a helping hand to several up-and-coming songwriters and musicians. Following the success of her new album, Gréco turned her attention to her live shows, performing at the Olympia between October 12th and 24th. The singer would then set off upon an extensive national tour before flying out to Japan in the spring of \'94. (Gréco, who was a great fan of Japanese culture, would frequently return to the Land of the Rising Sun to give numerous concert performances). Three years later Gréco was back in the media spotlight again. In June 1997 the singer, who was always eager to get involved with innovative new projects, flew down to the South of France for a special one-off concert. Invited to sing at the internationally-renowned Photography Festival in Arles, Gréco gave the performance of a lifetime, singing in an open-air amphitheatre while a series of black-and-white photos were projected onto the ruins behind her. In the autumn of 98 Gréco returned to the forefront of the French music scene with a new album entitled \"Un jour d\'été et quelques nuits\". The songs on the chanson star\'s new album were written by Jean-Claude Carrière, while Gérard Jouannest looked after the musical arrangements. In May 1999 Juliette Gréco was invited to perform at the \"Festival de musique vivante\" in Montauban, where she appeared as the festival\'s special guest star. Later that same month the legendary chanson star took to the stage of Le Théâtre de l\'Odéon in Paris (25-30 May), performing a series of highly popular concerts. At the end of the summer of \'99 French Culture Minister Catherine Trautmann presented Juliette Gréco with the \"Ordre National du Mérite\". In September Juliette Gréco brought the house down at the \"Fête de l\'Humanité\" (the annual Communist festival held in Paris), then a few days later she flew out to perform in New York. Needless to say, the legendary French star brought the house down at her two New York shows organised by the Alliance Française. The French star kept up a hectic tour schedule throughout 2000, performing concerts in France, Switzerland and Germany. She flew out for a concert in Lisbon in January 2001 and headed out to Norway a few months later in May. But Ms. Gréco was obliged to slow down her hectic schedule later that year, after being troubled by heart problems during a performance in Montpellier in late May. The singer made a rapid recovery, however, and doctors declared her fit enough to undertake an extensive tour of Canada in the summer of 2001. In November 2003, La Gréco re-emerged on the French music scene with a new album entitled \"Aimez-vous les uns les autres, ou bien disparaissez\" (Love One Another Or Disappear!) Loyal to her old favourites, the ‘grande dame of French chanson’ recorded a new version of the Serge Gainsbourg song \"Un peu moins que tout à l\'heure\" (which she had originally recorded in 1971). Her new album also included songs by Jean-Claude Carrière (songwriter on the 1998 album \"Un jour d\'été et quelques nuits\") and the late French poet Louis Aragon (\"La Rose et le réséda\" set to music by Bernard Lavilliers). Gréco, who has always displayed a certain flair for unearthing quality lyrics and compositions, also recorded \"Je jouais sur un banc\"(a song specially written for her by Gérard Manset) and \"Pour vous aimer\" (a song co-written by French novelist Marie Nimier and the 1990 Goncourt winner Jean Rouaud set to music by Art Mengo). Gréco also used a number of hot new talents from the ‘new French chanson’ scene including Christophe Miossec (who penned the lyrics for three songs set to music by Gérard Jouannest) and Benjamin Biolay (who contributed five songs, three of which were composed by Jouannest). Despite being in her 70s, Gréco showed no sign of flagging on the concert circuit. In November 2003, she took to the stage at the Casino de Paris and in February 2004 went on to bring the house down at another legendary Paris venue, the Olympia. The French leg of her tour also took the singer to a number of other French towns including Bordeaux and Amiens. As for the international leg of the tour, this included concerts in Belgium and Japan (where Gréco has a loyal following of fans). Gréco returned to the Casino de Paris for a mini-series of shows (16 - 18 November 2004). The double CD/DVD \"Olympia 2004,\" released at the end of 2004, proves that the legendary wit and energy of the sprightly 77-year-old are still firmly intact! 2006: \"Le temps d\'une chanson\"
Three years after the release of the album \"Aimez-vous les uns les autres ou bien disparaissez...\" (featuring the work of leading contemporary songwriters and composers), Juliette Gréco has returned to the spotlight with an album of cover versions entitled \"Le temps d\'une chanson\". Released in December 2006, this new album finds the legendary Left Bank diva singing some of her favourite ‘chanson’ classics and - unlike most of the material in her career - songs that were not written specially for her. The album includes Gréco reworkings of Julien Clerc’s \"Utile\" (written by the famous French songwriter Etienne Roda-Gil) and Maxime Le Forestier’s \"Né quelque part\" as well as French ‘chanson’ classics such as \"Syracuse\" and \"Avec le temps\". The album \"Le temps d\'une chanson\" was produced by Gil Goldstein and includes a number of arrangements by Gréco’s loyal pianist, Gérard Jouannest. It also features contributions from big names in the American jazz world such as saxophonists Joe Lovano and Michael Brecker and trumpeter Wallace Roney. In a famous description of Juliette Gréco Sartre once wrote that the singer\'s voice \"encompasses millions of poems\". This phrase would prove to be quite literally true - for few singers besides Gréco ever performed such a vast number of famous literary texts! Gréco, who spearheaded Paris\'s Bohemian and intellectual revival in the post-war years, went on to make these literary and poetic texts internationally famous. Meanwhile the singer\'s mysterious dark beauty and her intense, sensual voice have earned her an impressive following of fans worldwide.